This story was produced in partnership with Reveal from The Center for Investigative Reporting and PRX. For more, go to revealnews.org/redlining. It found a pattern of troubling denials for people of color across the country, including in major metropolitan areas such as Atlanta, Detroit, Philadelphia, St. Louis and San Antonio. African Americans faced the most resistance in Southern cities – Mobile, Alabama; Greenville, North Carolina; and Gainesville, Florida – and Latinos in Iowa City, Iowa. The analysis – independently reviewed and confirmed by The Associated Press – showed black applicants were turned away at significantly higher rates than whites in 48 cities, Latinos in 25, Asians in nine and Native Americans in three. In Washington, D.C., the nation’s capital, Reveal found all four groups were significantly more likely to be denied a home loan than whites. The disproportionate denials and limited anti-discrimination enforcement help explain why the homeownership gap between whites and African Americans, which had been shrinking since the 1970s, has exploded since the housing bust. It is now wider than it was during the Jim Crow era. Lenders and their trade organizations do not dispute the fact that they turn away people of color at rates far greater than whites. But they maintain that the disparity can be explained by factors the industry has fought to keep hidden, including the prospective borrowers’ credit history and overall debt-to-income ratio. They singled out the three-digit credit score – which banks use to determine whether a borrower is likely to repay a loan – as especially important in lending decisions. 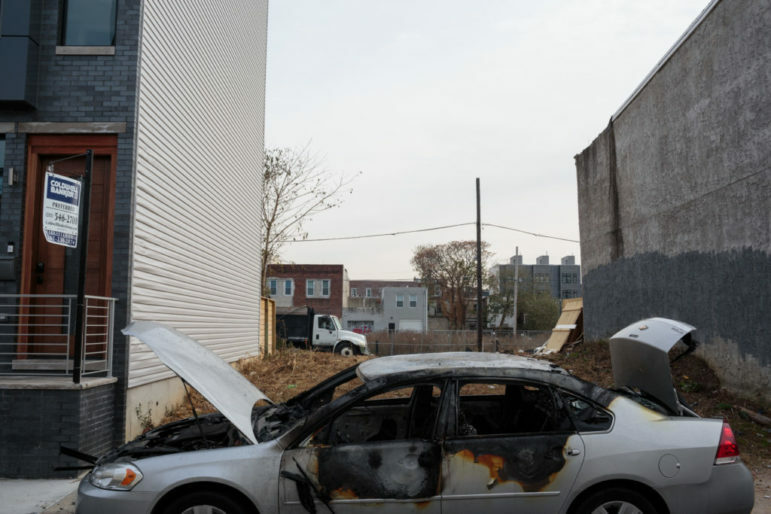 Point Breeze is a rapidly gentrifying neighborhood in Philadelphia. Most of the loans there are going to white newcomers. Banks also focused on serving the white parts of town, placing nearly three-quarters of their branches in white-majority neighborhoods. 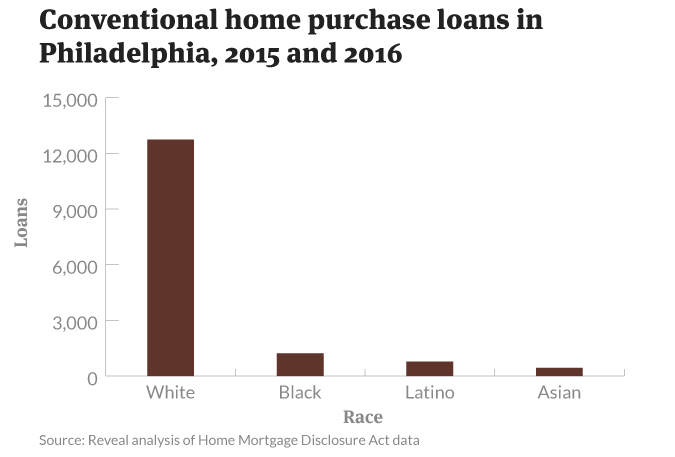 Reveal’s analysis also showed that the greater the number of African Americans or Latinos in a neighborhood, the more likely a loan application would be denied there – even after accounting for income and other factors. But that still wasn’t enough. When she tried again a year later, this time at Santander Bank, a Spanish firm with U.S. headquarters in Boston, the process dragged on for months. Her loan officer kept asking for new information, she said – or sometimes the same information again. For Faroul, things suddenly took a turn for the better after her partner, Hanako Franz, agreed to sign on to her loan application. At the time, Franz – who is half white, half Japanese – was working part time for a grocery store. Her most recent pay stub showed she was making $144.65 every two weeks. Faroul was paying for her health insurance. “That’s not what happened,” she said and abruptly hung up. A statementfollowed from Philadelphia Mortgage Advisors’ chief operating officer, Jill Quinn. 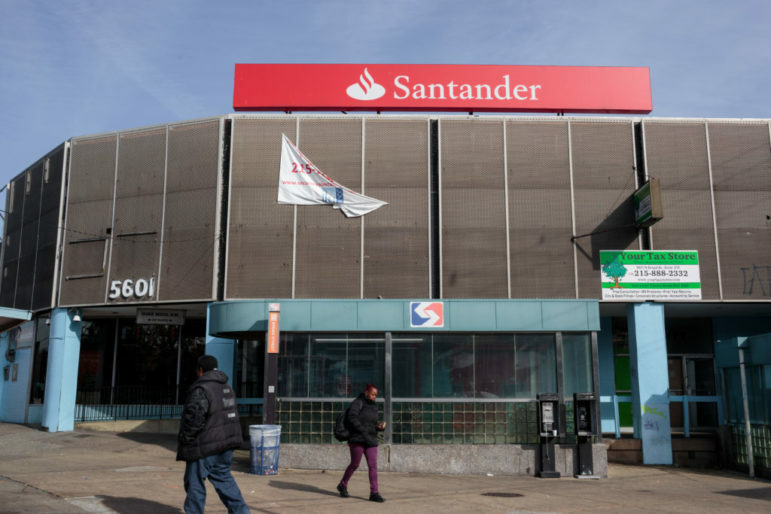 Pedestrians pass a now-closed Santander Bank branch in Philadelphia late last year. This practice has been outlawed for half a century. And for the last 40 years, banks have had a legal obligation under the Community Reinvestment Act to solicit clients – borrowers and depositors – from all segments of their communities. 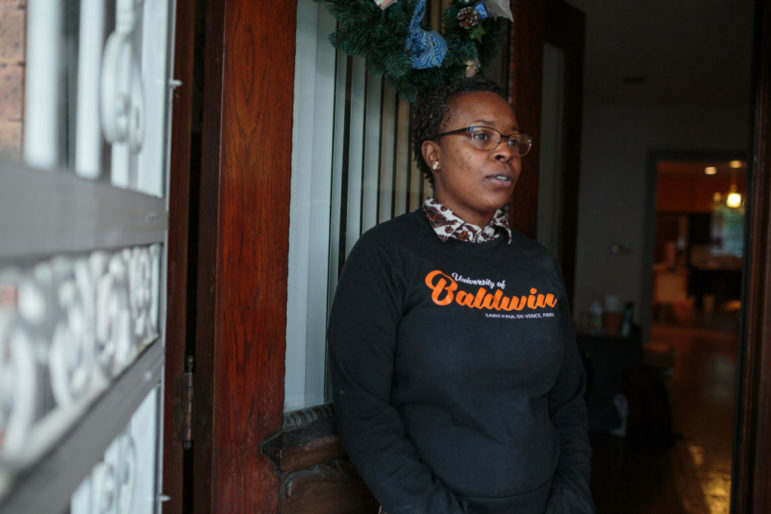 “You’re killing us here,” said Cindy Bass, a member of the Philadelphia City Council, who worked for a mortgage company before entering politics. 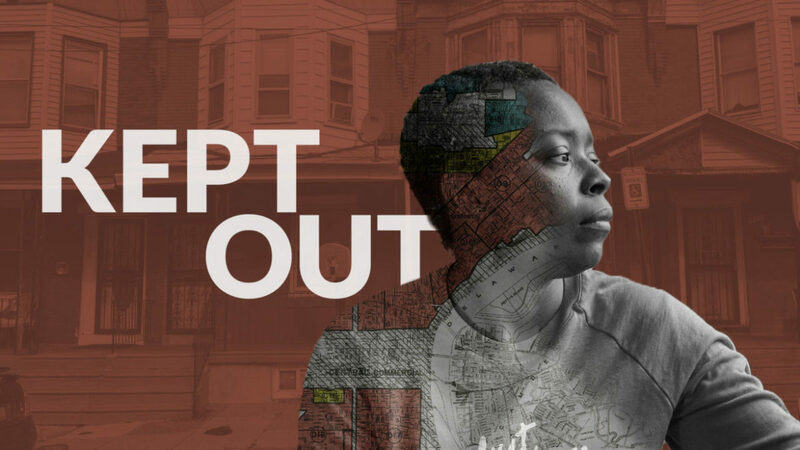 The data shows banks have frozen out borrowers in much of her district – including Nicetown, a North Philadelphia neighborhood where boarded-up row houses dot the landscape. This area wasn’t redlined in the 1930s. Government officials colored it green – “the best” – and blue, which meant “still desirable,” and told banks to lend here. Back then, most residents of Germantown were white. Today, this part of Philadelphia is majority African American, and the homes are occupied by middle-class workers – teachers, nurses and union craftsmen. Yet in every year from 2012 to 2016, banks denied more conventional loans of all types than they made in Germantown.